Let’s be real. Trump will not be removed by impeachment. No president has been. With a Republican Senate controlled by the most irresponsible political hack ever to be majority leader, the chances are nil. 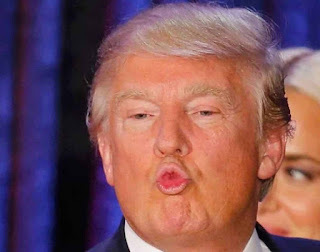 Mueller’s report probably won’t move any of the 40% who have held tight to Trump regardless. The evidence -- which Mueller has marshaled -- is unambiguous. If Americans refuse to acknowledge it, they're doomed. Happy Easter or Passover -- or whatever you may celebrate this weekend. While this cut was unexpected and unheralded — I cannot recall any campaign promises pledging to fight Big Book or stick it to those fat-cat librarians — it’s hard to say it’s exactly surprising, coming from this premier. 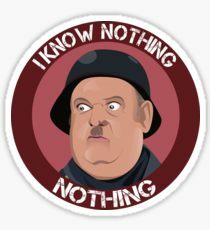 Doug Ford, when his brother was mayor of Toronto, made his pathological disregard for public repositories of knowledge well known. Asked if he would close library branches then, he said, “Absolutely I would, in a heartbeat.” He said anyone who reacted negatively to that suggestion was simply taking their cues from self-interested “library groups.” The city was lousy with libraries, he suggested, complaining that there were more branches in his area than Tim Hortons franchises — which there were not — and suggesting that was a bad thing. He felt the same way eight years ago when Ford and his brother Rob took an axe to the funding of Toronto's libraries. That decision brought on the wrath of Margaret Atwood, who complained loudly. 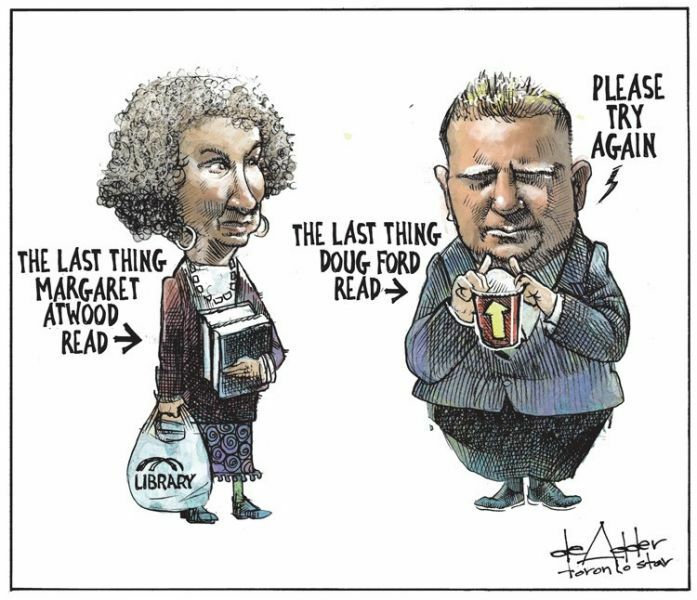 Ford also said that the literary icon and activist — who took him to task on Twitter for saying, erroneously, that his Etobicoke ward has more libraries than Tim Hortons — should get herself elected to office or pipe down. “Well good luck to Margaret Atwood. I don’t even know her. If she walked by me, I wouldn’t have a clue who she is,” said the councillor and advisor to his brother, Mayor Rob Ford, after a committee meeting on proposed cuts. Sound familiar? But more than that, Ford's ignorance is gobsmaking. Oddly, Trump may have been protected from even more damaging conclusions about obstruction by staff members who refused to do what he asked. “The President’s efforts to influence the investigation were mostly unsuccessful,” the report found, “but that is largely because the persons who surrounded the President declined to carry out orders or accede to his requests.” Whatever this is, it is not exoneration of Trump. This was, indeed, no exoneration. The Mueller report tells a story. And the story underscores the fact that Trump is -- perhaps -- the worst president in American history. 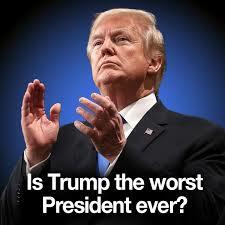 Worse than Richard Nixon. Trump's name will live in infamy. In a Toronto courtroom this week, the Ontario government launched Doug Ford’s quixotic legal battle against the federal carbon tax — at a cost of $30 million coming out of Ontario taxpayers’ pockets. Ontario’s lawyers argued in court that the province has already done enough, thanks to the previous Liberal government’s decision to shutter coal-fired power plants. While Ontario is unlikely to meet future emission reduction targets, the Ford government insists that Ottawa has no right to meddle. Except that, implicit in Ford’s argument is the contradictory suggestion that other provinces should be compelled to do more so that Ontario can do less in the future. Unsurprisingly, Ford’s lawyers downplay the reality that the federal government granted the provinces flexibility to design their own programs. In fact, Ontario’s pre-existing cap-and-trade program (inspired by a similar carbon pricing program in neighbouring Quebec) complied fully with the federal requirements — until he cancelled it. And until Ford took over the Tories a year ago, the official PC platform called for full co-operation and implementation of the federal carbon tax — so is it truly intrusive? While his lawyers argue a weak case before the judges, Ford is flexing his legal muscle outside the courtroom: New legislation would impose $10,000 fines against any gas station that doesn’t affix to its pumps government-dictated propaganda stickers opposing Ottawa’s policy. Drafted to demonize and distort the federal carbon tax, the stickers inexplicably fail to explain that the 4.4 cents a litre cost at the pump will be largely rebated to Ontario families. The stickers also ignore the reality that Ford is quietly pocketing a far bigger share of gas taxes (14.7 cents a litre, plus 8 per cent provincial sales tax under the HST). The costs of sticking it to Ottawa with stickers are indeterminate. But there is a price to be paid by a pro-business party that casts itself as a guardian against the big hand of government while converting gas pumps into partisan messengers. While threatening heavy fines, the government is spending big bucks to get its message onto the airwaves this week with the launch of its controversial anti-tax ad blitz that boasts, “Ontario has a better way.” The provincial advertising campaign is more accusatory than explanatory, unprecedented in its puerile targeting of a federal government that Ontario voters elected four years ago. Ford has always been a bottom feeder. He has an ally in the newly elected premier of Alberta. Both practise the politics of resentment and victimization. The upcoming election will have far reaching consequences. 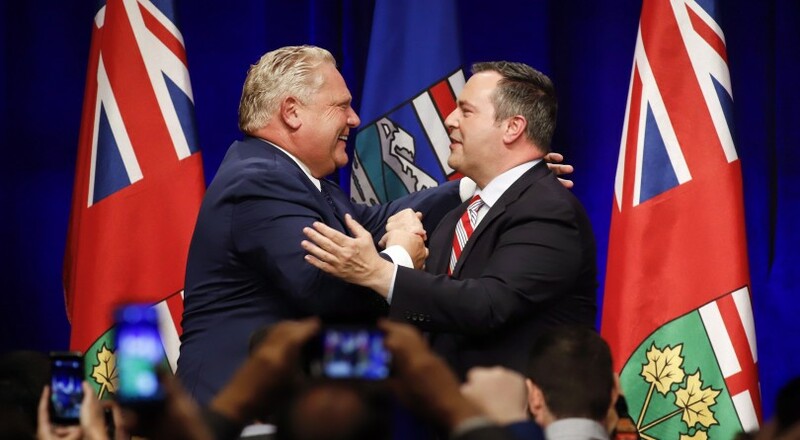 Albertans elected one of the most socially conservative and environmentally hostile governments in its history Tuesday night, handing a majority of seats to the United Conservative Party and electing its leader Jason Kenney as premier. In the end it seemed voters acted the way pollsters and other observers had predicted all along: by voting in a government that promised to do whatever it takes to get Alberta’s bitumen to the Pacific coast and scrap climate change policies brought in by Notley’s NDP and Justin Trudeau’s federal Liberals. Kristopher Wells, an international expert on sexual and gender minority youth issues based at MacEwan University in Edmonton, told The Tyee that Alberta currently has some of the best legislation in the world for gay-straight alliances in public schools, which create spaces for LGBTQ students and their allies to be safe and open in their sexuality. The UCP has promised to change the rules so that teachers have the option of informing a student’s parents when they join a GSA. 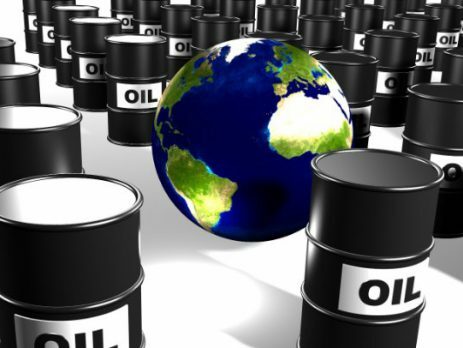 Tzeporah Berman, a Canadian environmental activist who is international program director for the group Stand.earth, said Kenney’s confrontational rhetoric won’t bring the benefits many Albertans are expecting — a swift return of jobs and investment in the oil patch — during an era when the world is rapidly shifting to cleaner sources of energy. Score another one for unadulterated ignorance. 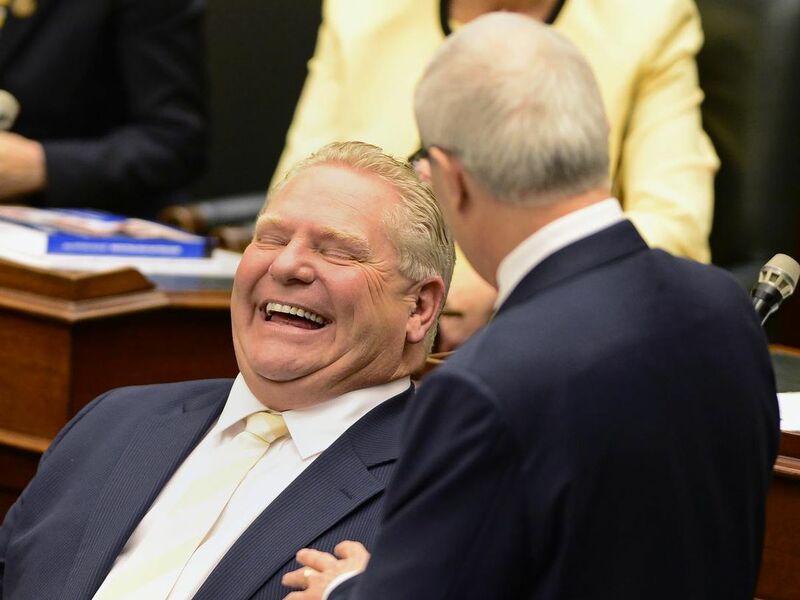 Ford’s first budget deceptively heralds his munificence while it downplays the take-aways. 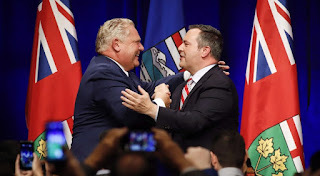 He is spending more than any previous Liberal government, piling on bigger deficits than his immediate predecessor and projecting record debt levels. It's a con, of course. But, so far, Ford has gotten away with it.